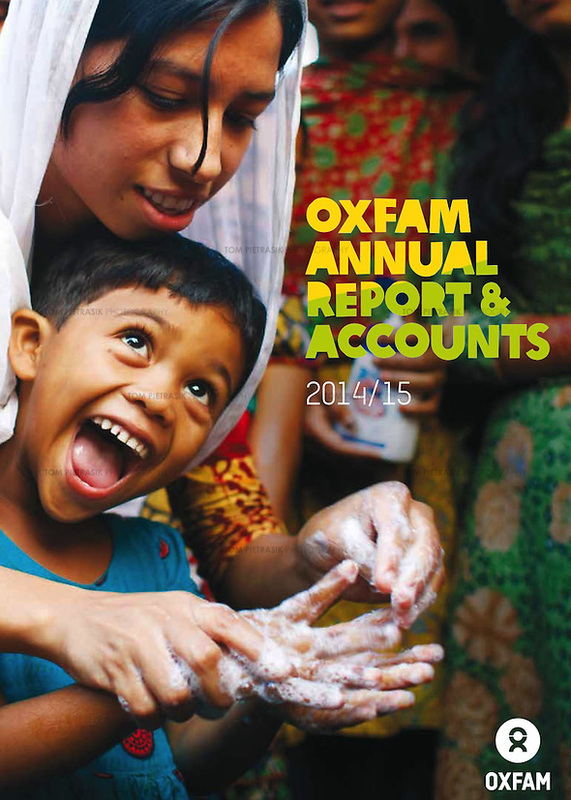 The cover of Oxfam’s latest Annual Report features a photograph I took last year in Mymensingh, Bangladesh. 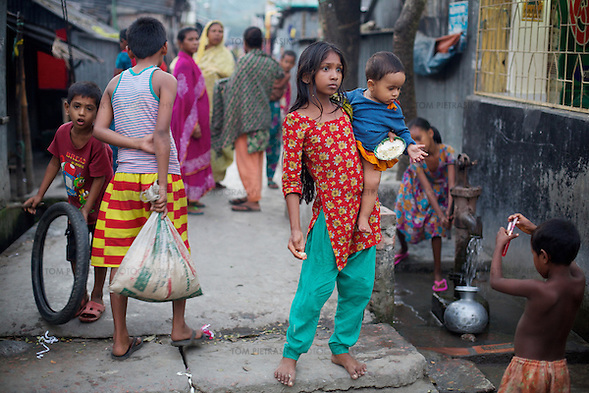 I have photographed and filmed for Oxfam on many occasions in south Asia and Africa. This work then appears in Oxfam campaigns and reports. 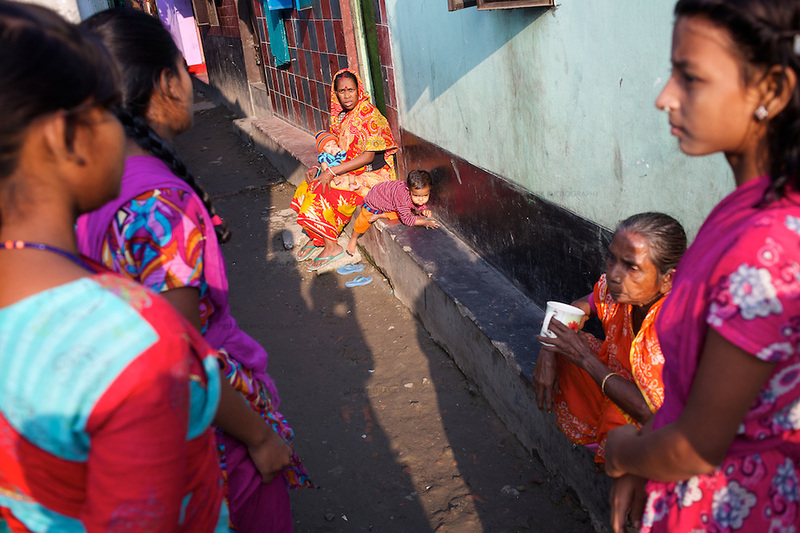 For this particular trip I spent two weeks in Bangladesh, documenting the lives of women whose lives are affected by climate change. 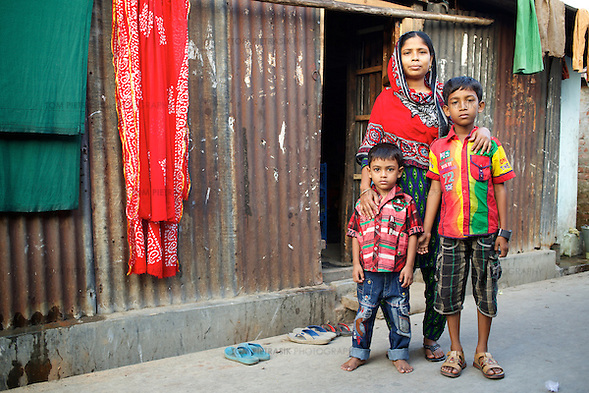 Bangladesh is situated on a river delta and is already suffering the consequences of rising sea-levels. Frequent flooding makes farming in some areas unsustainable. 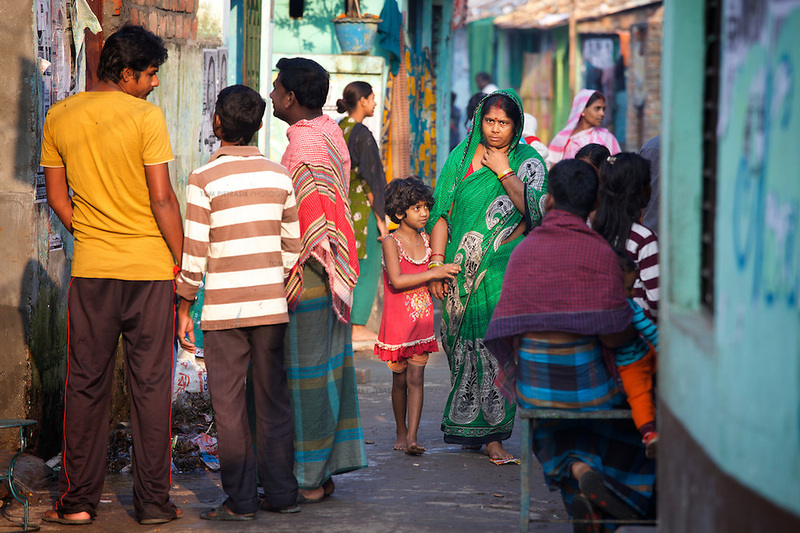 In turn, rural populations migrate look for a better life in the cities. Urban infrastructure that was inadequate at the best of times becomes completely overwhelmed by the influx of new arrivals. Sewers overflow, congested roads pollute the air and the increased demand on power lines presents a fire-hazard. On this particular trip, I visited the northern district of Gaibandha where rural communities live a tenuous life farming alongside rivers that pose a constant flood-risk. 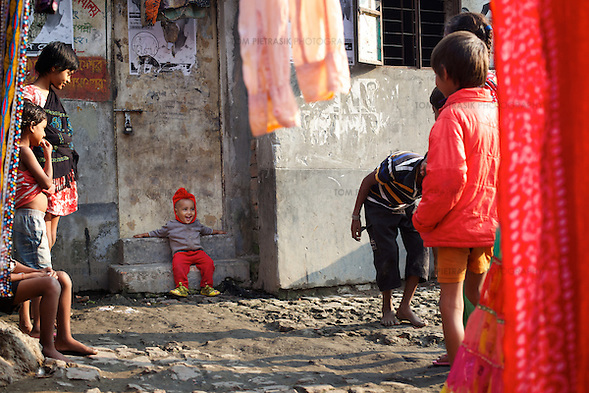 I then travelled to the congested town of Mymensingh where these photographs were taken. 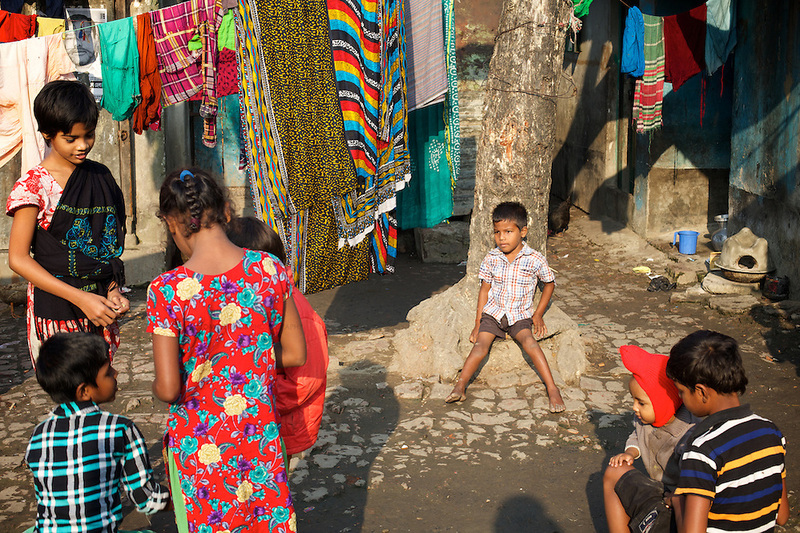 Here I spent time with a minority Dalit (untouchable) community who must endure both physical hardship and the psychological burden imposed on them by caste-discrimination; though a majority-Muslim country, caste-hierarchy endures in Bangladeshi society. These sort of assignments can be a logistical challenge. The trip was commissioned by Luke Henrion of the Oxfam communications unit in Oxford, I was here in New York and Oxfam’s Bangladesh media team, led by Abdul Quayyum, were of course in Dhaka. Taking on photography work almost always involves some compromise between the photographer and the commissioning client. Ahead of a trip I’m usually in the position of managing expectations or at least shaping a schedule so that it better accommodates my demands while making sure that the client gets what they need. I usually insist that I stay in accommodation close to the location in which I am photographing/filming. As well as avoiding wasted time on (often bumpy) roads, this means that I am much more likely to be able to work during the hours of dusk and dawn when the light is at its softest. I also insist that I am accompanied by a person who has a relationship of trust with the community I am photographing. 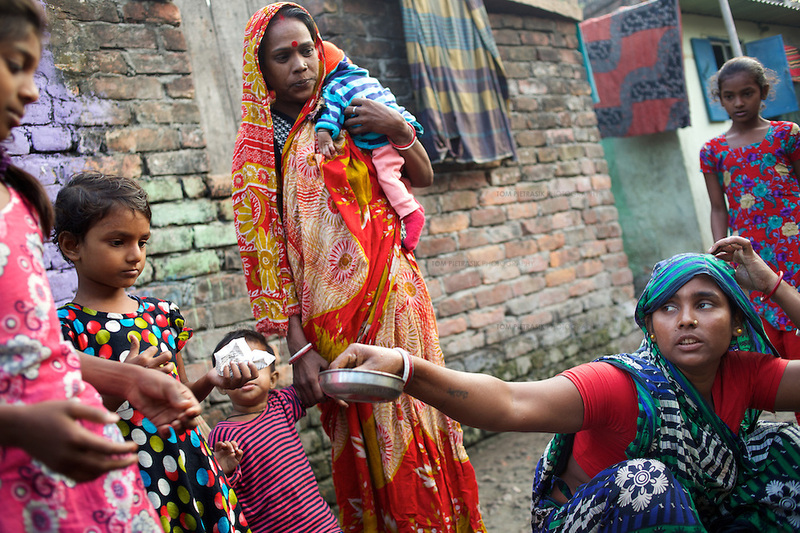 What is nice about working for development agencies like Oxfam is that this connection is often easy to establish – either directly through local Oxfam field-staff or via a partner-organisation. Not only does this help open doors for me but it is more respectful to those in front of the camera. I also like to be able to spend as much time as possible with those I am filming or photographing. Again, this affords the subject proper respect and usually allows people to relax in front of the camera. Sufficient time also opens up the potential for defining – and often serendipitous – moments that can make a photograph special. Confronting human climate change requires action on many fronts. Photography can play a small role by illustrating the lives of those already affected by climate change and helping to humanise an issue that otherwise might appear remote to those who are in a position to take action. Unfortunately powerful institutions and governments have demonstrated little interest in the very-real threat climate change presents to the future of our planet. As well being incredibly short-sighted, this ultimately represents a snub to people like those I photographed in Bangladesh. 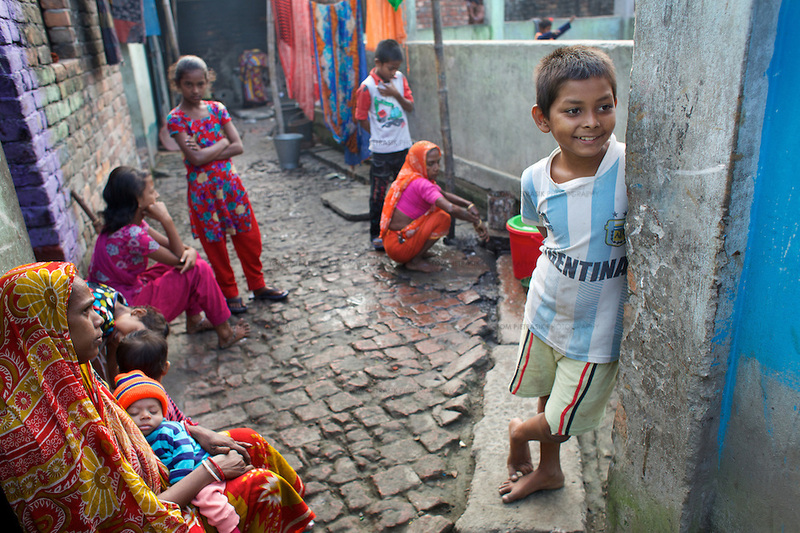 As diplomats gear up for the COP21 summit in Paris next month, lets hope that the lives of ordinary people in places like Mymensingh take precedence over the short-term interests of corporations and their friends in government.